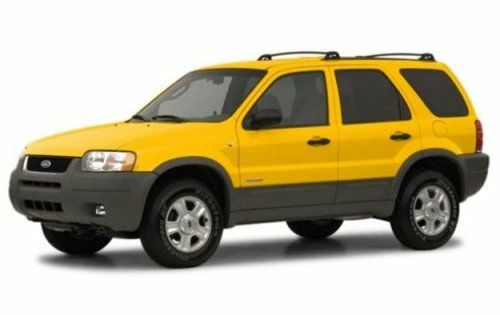 The safety watchdog group Center for Auto Safety (CAS) has filed a petition demanding that the 2002 through 2004 Ford Escape models that were previously recalled for acceleration cable problems as – after being repaired under that 2004 recall order – the vehicles are subject to unintended acceleration risks. In late 2004, Ford Motor Company recalled 406,863 examples of the Ford Escape compact sport utility vehicle from the 2002, 2003 and 2004 model years over a concern that the accelerator cable connecting the throttle body to the accelerator pedal could become dislodged and possible cause sudden unintended acceleration. The problem as the CAS sees it is that many of these previously recalled SUVs could have had the cruise control cable damaged when the accelerator cable was serviced – a problem which could cause its own brand of unintended acceleration. In a 144 page filing, the Center for Auto Safety detailed the exact problem with the 2002-2004 Ford Escape in typical long-winded legal fashion. The short of it being that if the accelerator cable was serviced as part of the 2004 recall order, the cruise control cable running right next to the main throttle cable could easily become damaged. When the cruise control cable is damaged and the driver sets the cruise control, it may become lodged at that speed so when the driver goes to slow down – the vehicle may not want to. Of course, unintended acceleration can be solved by turning off the ignition key but that also kills your power steering and power brakes so there is a vastly increased risk of an accident. According to the CAS, this unintended acceleration has already resulted in one fatal accident of a teenage driver along with several reports of incidences that did not end so tragically. Ford Motor Company is reportedly looking into this problem but the CAS contests that FoMoCo already knew about this possible problem – and they have since October 6th 2005. On that day, Ford Motor Company sent a bulletin to dealerships warning them to take special care not to damage the cruise control system when replacing the sticky accelerator cable but the CAS claims that by the time that statement was sent to dealerships – as many as 319,506 vehicles had already been serviced. On these 320k vehicles, the CAS argues that there is an increased likelihood of sudden unintended acceleration since dealer servicemen were not formally aware of the problem. Because of this, the CAS believes that Ford should once again recall these 406,863 vehicles to ensure that there is no damage to the cruise control system that could lead to a deadly case of unintended acceleration. Ford is reportedly working with the National Highway Traffic Safety Administration to figure out the cause of the fatal accident that killed the young driver. Should there indeed by found to be a risk of unintended acceleration due to the cruise control cables getting hung up – Ford will most likely issue a voluntary recall to address the issue before any more accidents occur. My wife and kids were recently in an accident where our 2001 ford escape sudden accelerated and my wife ran head-on into an overpass concrete wall. The throttle (pictures are available) was held open (wouldn't return to base position) by the cruise control linkage failing (fell down) and wedging between the plastic engine cover and the upper intake manifold holding the throttle open. The gas pedal (pictures are available) is still stuck to the floor and vehicle was totaled. We are pursuing some compensation (didn't have collision) via our own efforts with FORD MOTOR COMPANY for our losses and injuries as well as making a best effort attempt to prevent the same issue happening to others. I just noticed your posting and wanted to provide our information and note this issue may apply to a wider range of Ford Escape Vehicles (wider VIN number range) other than just the 2002-2004 year models. My Mother and I were in an accident last week with her 2004 Ford Escape. We were going to breakfast and she was parking the car in a spot, rolling smoothly in after having previously stopped at another spot, and the car was coming to a stop. All of a sudden the car jerked forward as if someone had slammed on the gas pedal and slammed into the restaurant in a four foot space. I asked my Mother what she was doing and she replied she didn't know. The car then continued to jerk forward and climbed over another truck almost flipping us over. The car finally rested at a 60 degree angle as the one tire on the ground was stopped by a parking bumper. I was able to reach over and put the car in park and turn off the ignition. Fortunately, no one was hurt and we were in a confined spot. The car is now totaled and I am dismayed at Ford that they knew about this and the accident could have been much worse! I doubt anyone will see this because this article is old. That said, I have a 2011 Ford Escape (a model in which this problem was supposedly fixed). I can now attest that, as of the 2011 models, this problem was not fixed. Last night, as I merged onto the interstate (I-495 Capital Beltway), my car continued to accelerate uncontrollably. I had both of my feet fully decompressing the break, and still reached a speed of almost 100 MPH. I narrowly averted certain death by finding an opportune exit ramp (both shoulders were closed for construction where the incident occurred). The car finally came to an abrupt stop after deploying the emergency break, putting the car in neutral (and then park), and shutting down the engine. I was mere feet from reaching a busy intersection at the end of the interstate off ramp before the car came to a stop. Whatever Ford says they have done to correct this problem simply cannot be true...at least as of the 2011 Ford Escape models. There was no break override (as I was fully deploying both the break pedal and then the e-break). It was horrifying, and Ford needs to be held accountable. So far, I'm getting completely brushed off because my particular vehicle was not subject to their recall. I don't know why I'm still alive after my accident, and I have a feeling countless others have lost their lives to the same problem.